Seabold Cellars was established in the Monterey Bay region because we believe that cool-climate vineyards produce balanced wines that showcase their origin more than their winemaking. During the year, more time is spent in vineyards than the winery. Our winemaking is as hands-off as possible, respecting traditional techniques and practices without being beholden to them. We produce small-lot, site-specific Burgundy and Rhône varieties, as seen through a California lens. Located in the small town of Marina, California, Seabold Cellars was established in 2014. The origin goes back further, to a shared bond between Chris Miller and Peter Figge. Chris and Peter had much in common: a lifetime dedicated to studying their craft, visiting and working in vineyards around the world, exposure to many of the world’s greatest wines, and a shared belief that the Monterey Bay could join that conversation. Together they explored the top vineyard sites in the region, working together and learning from each other, excited about the potential that lay ahead. After several vintages of collaborating together, Peter passed away suddenly in 2017, and Chris took over the operation of the winery to honor and continue Peter’s legacy. Prior to founding Seabold Cellars, Chris spent most of his career in fine dining restaurants. A New Orleans native, he worked his way through college learning about food and wine at Emeril’s and the Brennan family’s restaurants. The day after graduation, he moved across the country to study wine at Seattle’s legendary Canlis Restaurant. There he met Greg Harrington, MS, who had just founded Gramercy Cellars in Walla Walla. 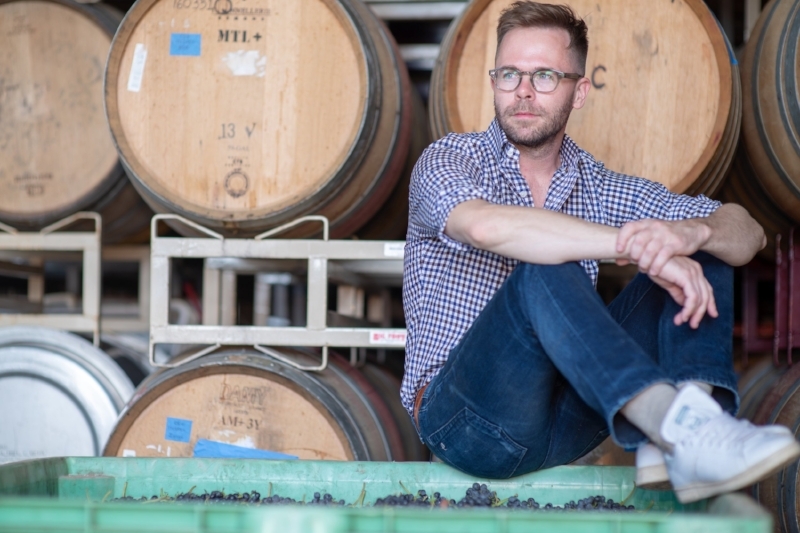 Inspired by Greg’s passion, Chris spent all his free time working in Walla Walla, making his first wine in 2006. In 2008, Chris took the position of wine director for Wolfgang Puck’s flagship restaurant, Spago Beverly Hills, quickly developing the program into a Wine Spectator Grand Award winner. While there, he worked towards his Master Sommelier diploma while regularly hosting many of the country’s largest wine collectors’ tastings. Chris spent harvests - and the few days off he had - in Sta. Rita Hills, working and studying under Greg Brewer at Brewer-Clifton and Melville. After 20 years in restaurants, he finally made the full-time switch, trading in his suit and tie for jeans and boots. Peter was a renowned viticulturist and winemaker, and by anyone’s account, one of the nicest and hardest-working people the world has ever known. He was fortunate to grow up in a wine-loving family and had a clear focus from a young age. After graduating from UC Colorado, he immediately sought out vineyard work and got his start at Beringer in Napa Valley. More internships in Napa Valley and South Australia followed, before attending UC Davis for their esteemed Viticulture & Enology program. Masters degree in hand, Peter was hired by Franciscan to develop, and eventually oversee, all their central coast vineyards and new developments. As that company grew into a more corporate entity, he left to start up his own vineyard consultancy and winery in 2004. He is never far from our thoughts.